Early and exceptional 19th C. pie plate in an unusually large size, with fluid serpentine slip decoration of the initals "SL". The slip has no pops and shows minimal wear to the glaze. Superb condition, finely coggled rim with a single ancient flea bite, and a gorgeous oven-darkened surface on the reverse. Norwalk, CT, ca. 1800-1840. 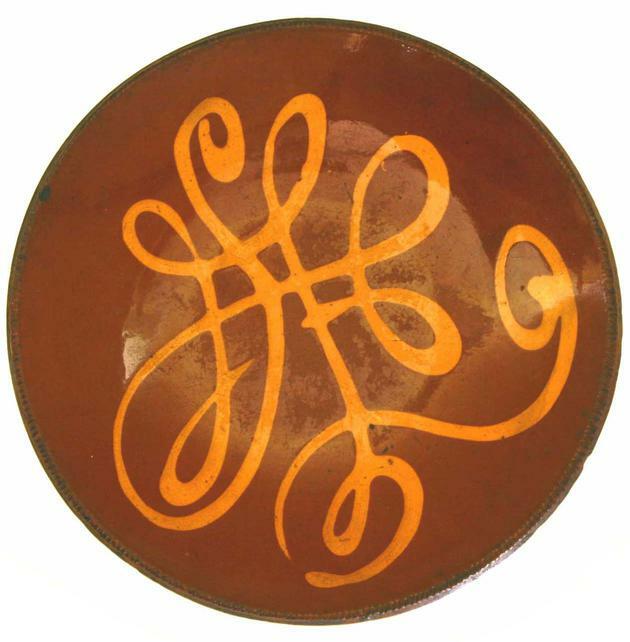 An extremely fine redware plate. 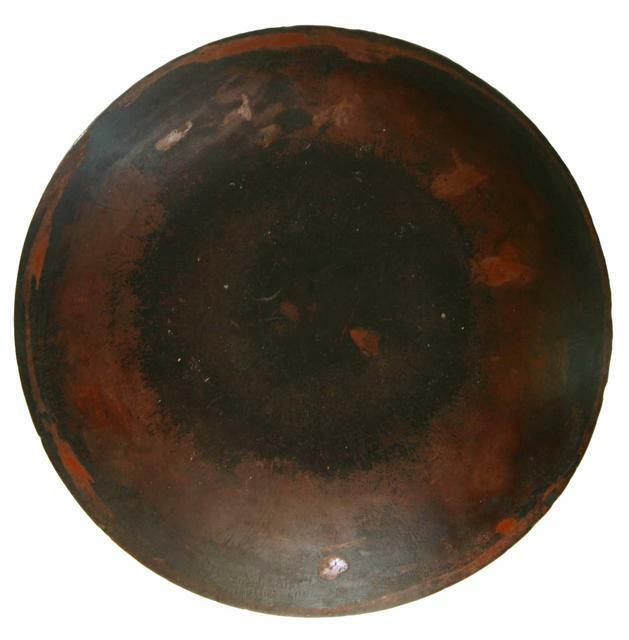 Measuring 10½" in diameter.